“Man”, notwithstanding philosophical, archeological, anthropological, historical and scientific researches remains a mystery – a complex conundrum and a prodigious myth waiting to be unraveled. His changing mien, conduct, disposition, traits, characteristics and idiosyncrasies monumentally attest to these assertions. It was in this context a bewildered 18th century philosopher and poet, John Arbunot, had asked in his poem “Know Yourself”: What am I?How produced? And for what end whence drew I being? To what period tend? Am I the abandoned orphan of blind chance, dropped by wild atoms in disordered dance? Or from an endless chain of causes wrought? And of unthinking substance born with thought? The enigmatic labyrinth called ‘man’ gets more complex every day. But in the midst of the quandary, Man has through emotion and reasoning established a symbiotic and functional relationship with all other things. He has intra and inter-human relationships, realising that as a catholic entity and person it behoves man to husband himself and harness other things around him. In making this relationship active and feasible, generosity, beneficence, charity, altruistic commitment and kindness to his kind and others becomes critically crucial. What do we expect in return for showing kindness and generosity in material or spiritual format? Many will argue that they expect nothing for showing kindness, some will say they expect a thank you and nothing more. Whatever we say is an attestation to the complex nature of Man. But in all, a vast majority of people will expect gratitude. 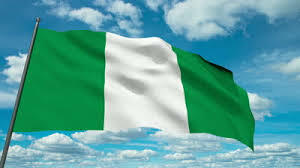 Have our politicians been grateful to the poverty-stricken masses of Nigeria right from 1960 till date? Gratitude, as a human trait, lies in the deepest recesses of a noble mind. It entails a form of reciprocal action, an avid desire to show appreciation, gratefulness and recognition of good. It is the drive line between great minds and mundane ones. Ability to show gratitude stimulates and extends the tentacles of altruism and munificence. Egomaniacs do well and show kindness because they want to be thanked in front of the market place. In front of the church and on radio or television. They are self-seekers. Theirs is, no matter what we say, is termed philanthropy or generosity, but there is a material price in their generosity. But giving or doing good without caring about self is true goodness. Such has a spiritual price. Man is not armed with tools to decipher and competent to judge a true giver, but we know that it is more blessed to be a selfless giver. Let every generosity be hallmarked by gratitude. Will the politicians that won and lost in the 2015 elections be grateful to the electorate who stood in an Indian file under inclement weather to help them achieve their political ambitions? The Nigerian politicians have never ever been grateful to the totality of the Nigerian electorate. That is why 99.9% of Nigerians still wallow in poverty and neglect. We still experience shortage of drinkable water, we have no shelter, no good, motorable roads; no security, no medical care facilities, no good schools; pensioners still die on the queue; we still experience psychotic corruption in all strata of leadership. We ask our politicians to show gratitude to the electorate by pursuing the greatest good for the largest number of Nigerians. Ingratitude is wicked and a ghoulish trait in man. It is a gross inability to show appreciation, gratefulness and thanks in the face of obvious and clear assistance. It unearths the Biblical “Cain – Strings” in man. Ingratitude short-circuits goodness. It smacks of Neanderthal man’s instinctual primordialities and breeds secular humanism – a consummate belief in self. That all I have, all I am and all I shall become are within my purview and powers only. Secular humanism has become the Modus and Locus of the modern era; it tends to over-emphasize man and de-emphasise “GOD”. We claim and boast that all our successes are by dint of our hard work. We in all honesty know that this is a brutal lie. God puts everything in place. He fine-tunes the logistics, perfects the strategies and orchestrates the actions that led to whatever we have achieved. Little-man is too full of himself that he arrogates himself false dignities and claims God’s glory by showing gross ingratitude to him. Will our politicians continue to stew in the irreverence of ingratitude after 2015? Ingratitude to God is the crux, the locus classicus, the fons et origoand the initium et finis of the purport of secular humanism. Ingratitude to God is based on our inability to understand our roles on earth. We think that the acquisition of material abundance is the sole purpose of life on earth and man will stop at nothing in bringing it to pass in his life-time. But in all honesty unless the Lord builds the house, they labour in vain who builds it. God is it. He alone brings good things to pass. Forget about the prosperity of the wicked, their properties will be inherited by God’s own. Let us not turn around and kick the ladder by which we climbed, God is the ladder, without which man would have been completely vulnerable and empty. Jane Eyre talking about vanity and susceptibility of man said “Man but proud man, dressed in little brief authority best assured of what he is most ignorant and plays such fantastic tricks before high heavens as make the angel weep.” There is no ratiocination or syllogistics reasoning that will ever come near to disputing God’s total presence in all our endeavors, but man’s refusal to commit it to him but rather believing in themselves has always led to negative results. Man will fail you and you will fail yourself, unless you commit it all into God’s hands. This is a prophetic prologue to avoid a tragic interlude. The wealth of life is decorated, festooned and embroidered with travails, traumas and tribulations. It is only God’s presence that can determine where you stand in the midst of it all. Life is not for empty pursuits, it is to seek, find and serve God and then all other things can be added unto us. The essayist “Ingersoil” said “life is not, let us eat and drink for tomorrow we die.” It is rather “Let us put our heads together and serve mankind thence serving God.” Happiness is where you are, when you are, when you are there and your own happiness is concretized by that you put in other people’s lives. This is latently corroborated by Van Dyke – he said, “There is a loftier ambition than merely standing high in the world. It is to stoop down and lift mankind a little – higher.” Dyke is a legal luminary, essayist and poet. There can never be any acceptable rationalization of our ingratitude. We can only show gratitude to God through service to man. If we take offence at the ingratitude of “Man” to us having shown them generosity. How then does God not feel chagrined at man’s ingratitude to Him? Wilfred Greenfield said, “The service we render to others is in reality the rent we pay for our room on this earth. It is obvious that man himself is a traveler, the purpose of this world is not “To have and to hold” but to give and to serve.” Alexander Pope, poet and essayist in his poem “Essay on man” observed that, “man, like the generous vine, supports lives; the strength he gains is from the embrace he gives.” Will our politicians ever learn from this morphology of ingratitude and shun pangyrical evocations and the superfluity of ventriloquisms? Man has nothing to offer God except total submission to his will. He can abundantly reflect this through service to man. Man should realize that he is weak and empty without God except total submission to his will. He can abundantly reflect this through service to man. In Thomas Gray’s ELEGY WRITTEN IN A COUNTRY CHURCH YARD, he noted the ephemerality and transient nature of man’s life in the face of his arrogance and moribund pursuit of carnal things. He said, “The boast of heraldry, the pomp of power and all that beauty, all that wealth ever gave, awaits alike, the inevitable hour, the paths of glory lead but to the grave.” Man is emptiness festooned with lucent glamour – a Barmecial – dish. It is tantamount to a display of banal ingratitude to a friend who in a boundless demonstration of compassionate comradeship decides to assist us in time of need only for us to mock, traduce and blackmail him behind his back. This fiendish spirit of ingratitude has stopped most people from doing good and this has surreptitiously injected individualism into the world. Ingratitude has murdered philanthropy. In the book “The great controversy” by E.G. White, we are told that when emperor Charles V ascended the throne of Germany he was by papal bull or the papal mandate asked to carry out wanton persecution of “Doctor Luther” the reformist. But the quick intervention of the ‘Elector of Saxony, to whom Charles V was greatly indebted on account to his throne, he discountenanced the order. This is a splendid display of gratitude because when he was fighting to ascend the throne the “Elector of Saxony” stood by him. Gratitude is a noble virtue registered and cultivated in great minds. Like the quality of mercy, the quality of gratitude is not strained. It dropped as the gentle rains from heaven and it is twice blessed, him that givethand him that receiveth. It is a pity, and indeed a pity beyond all telling, a wondrous pity that “man” can be ungrateful. Ingratitude is a monster too hideous to behold. The icon Dr. NnamdiAzikiwe cherished the virtues of humanity and gratitude. He gave tacit endorsement to these virtues anytime he delivered a panegyrical speech. A case in point was in May 4th 1949, when he admonished the inimitable unionist Pa Imoudu, he said, “Courage brother courage, do not stumble or falter. Through the path be dark as night, there is a star to guide the humble and grateful ….. trust in God and do the right.” Ingratitude as a noxious and egregious conduct will imperceptibly but inexorable lead us on the perilous path of doom. Under any situation let gratitude to the Almighty God be the signet and guiding light of our lives. Gratitude is euphony and euphony is the greatest form of prayers. It is a tragedy of eternal proportion for man to lack this virtue. We are told the story of exemplary gratitude in Germany. “A young man lay on an operating table. A skilled surgeon stood next to him and a group of his students were nearby. The surgeon said to the patient, “If you wish to say anything before we administer the anesthetics, now is your opportunity for I must warn you that they will be the last words you will ever utter in this world. The young man understood for his tongue was to be removed because of cancer. What words should he choose for such an occasion? After a long pause, he said “Thank God for Jesus Christ.” Can we say the same to appreciate God’s many gifts? First thank Him for His greatest gift in Christ Jesus. Gratitude to God stimulates all commendable traits in man, love, brotherhood, kindness, charity and altruism. Why is man ungrateful? This again takes us into the complex being called Man for Alexander Pope warns, “Know then thyself, presume not God to scan; the proper study of mankind is man.” Let man introspectively unearth his grotesque inner-man in him and come out and over with an eternal cure for himself. This will build great universal bridge across the world. The basic foundation of gratitude and man shall have become fully explored and understood. Pastor and lecturer Thomas Dewitt Talmage (1832-1902) told the story of an accident that occurred on a ferry on one great lakes. “A little girl standing by the rail suddenly lost her balance and fell overboard. “Save my child” cried the frantic mother, lying on the deck was a great Newfoundland dog, which plunged into the water at the command of his mother. Swimming to the girl he took hold of her clothing with his teeth and brought her to the side of the boat, where both were lifted to safety. Although still frightened, the little girl threw her arms around that shabby dog and kissed him again and again. It seemed a natural and appropriate thing to do. Likewise a response of love and gratitude should flow from every person who has been rescued by the Saviour through his self-abnegation and self-sacrificing death on the cross. He came from heaven’s glory to suffer and die that we might have eternal life. A good attitude towards life begins with gratitude toward God. Gratitude is the common denominator with which the latent values of goodness and blessings from God are expressed. It has an all-embracing outreach. Be it in Islamism, Buddhism, Hinduism, Zoroastanism, Confucianism, Eckism, Paganism etc. Gratitude remains a magisterial and imperious plinth of reaching out to the Almighty (Light, God, Allah etc.). But call Almighty one by any name he remains the same Almighty One. Finally, let us begin to see “Humanity” as one big happy family created and continuously called by the Almighty to come and know him in truth and in spirit so that we can show him gratitude befittingly due Him. We should show great love to his creation through generosity, for if thou doeth it to one of this little ones, thou doeth unto me. Let us not lilliputanise his person through our megalomaniacal self – seeking arrogance. He is a God and not man. He is the real indescribable and unfathomable conundrum that has provided love, gratitude and faith as the only “Key” to unravel the “empty dust” called man. “Man know thy self”. Politicians must learn from the morphology of ingratitude and shun ventriloquisms in 2015, otherwise they will be singing their own nunc dimities.